As part of the team, Astrobotic is in charge of showing how the Peregrine lander’s international payload delivery service is best suited to carry this ground-breaking European space resources mission to the Moon. The study team also includes Goonhilly Earth Station Limited of the United Kingdom. 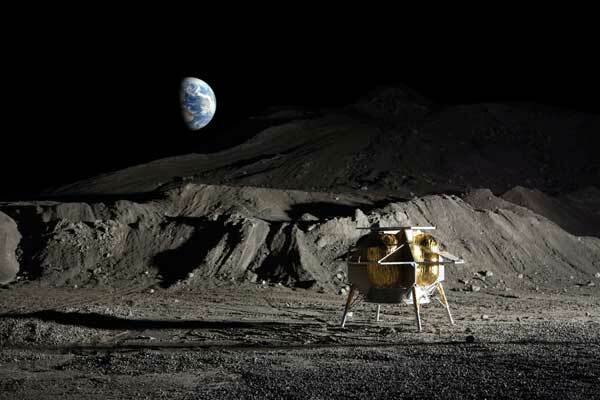 This selection comes following the recent announcement that Astrobotic has been chosen as a 10-year provider to deliver NASA payloads to the Moon through the Commercial Lunar Payload Services (CLPS) program. Astrobotic is the only company to be both selected by NASA CLPS and now by Airbus for this competitively awarded ESA mission study. “ESA is not going to the Moon alone and our vision for lunar exploration is based on international partnerships with commercial and industrial organisations. This mission study with Airbus and Astrobotic is a prime example of the new wave of space exploration,” said Dr. David Parker, Director of Human and Robotic Exploration at ESA. Not so clear…SINCE YOU HAVEN’T EVEN LANDED ANYTHING YET. Exactly, PK, the two words, “chickens” and “count” comes to mind. Regards, Paul.